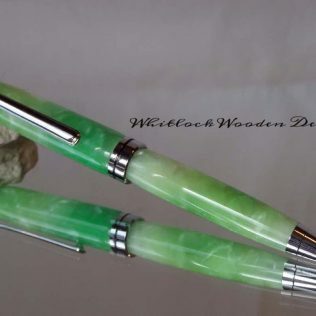 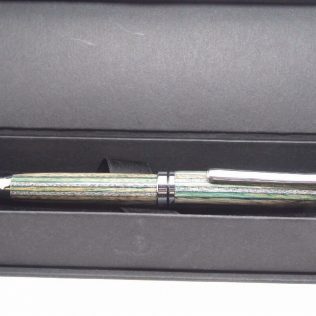 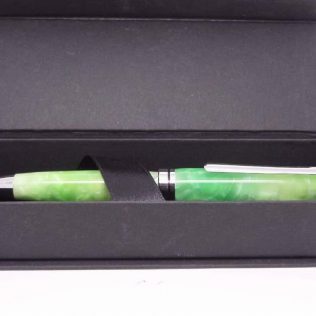 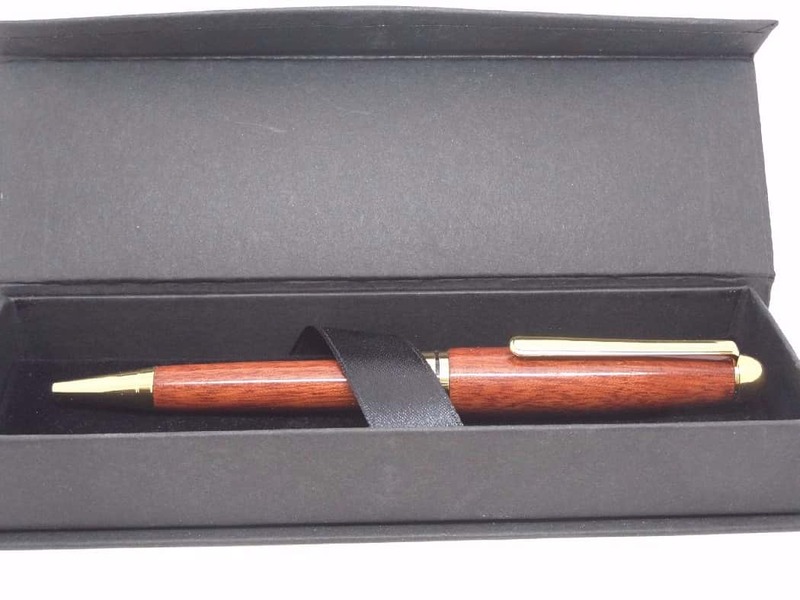 Customer matched zone "Great Britain"
View basket “Spalted Beech European Pen” has been added to your basket. 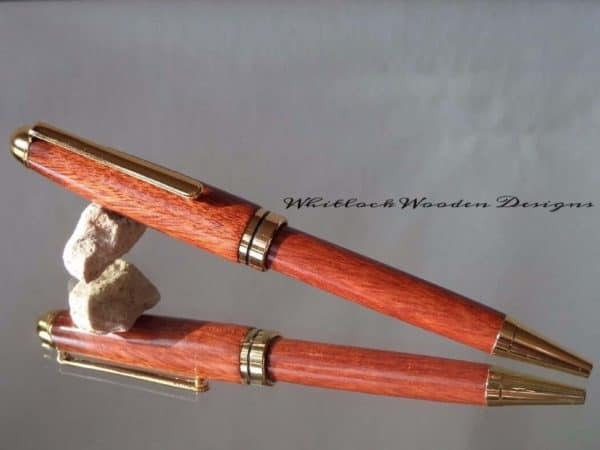 A Bloodwood European ballpoint pen handcrafted on a wood-turning lathe in my UK workshops. The pen has a smoother twist mechanism than my entry-level pens with a high-quality gold-plated trim, hand turned from Bloodwood. 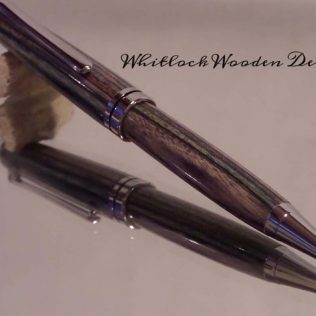 Mounting the exotic wood on the lathe, hand turning to round and shape. 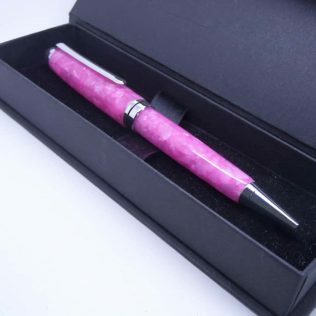 Once shaped it needs sanding through to 400 grit and then up to 8 coatings of super glue applied this, then needs finishing to 12,000 using micro mesh for a super hard and durable high gloss finish. 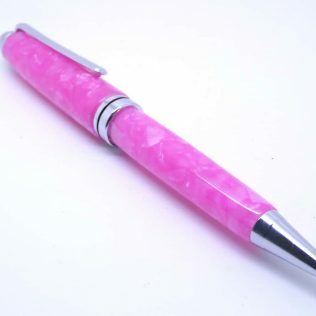 This pen uses a cross type medium ballpoint black refill available from any good stationery suppliers. 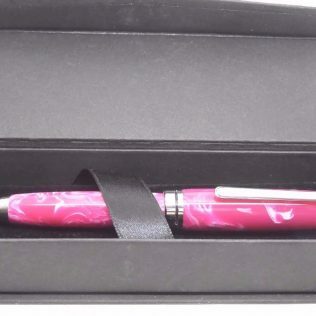 All my handcrafted wooden pens come in a black presentation gift box as a standard. 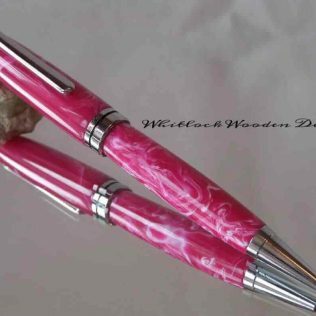 Every piece of wood different, each pen will make unique wooden 5th wedding anniversary or Birthday gifts.